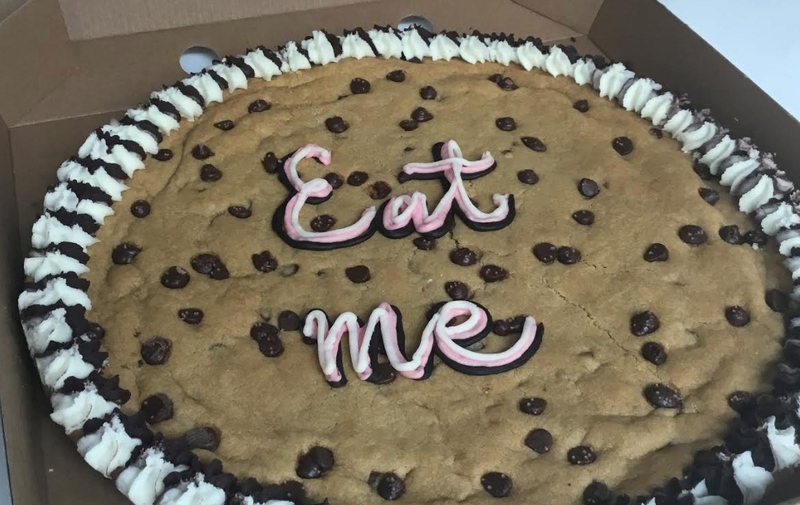 London vegan baker Ms. Cupcake has launched London's first ever giant personalized vegan cookie. The 12in American-style cookie comes in two different flavours: Chocolate Chip and Red Velvet. Cookies can be personalized with messages and different colours for the piping, glitter and edible pictures. A spokesperson told Plant Based News: " From our research, no one else is currently offering this product in the whole of the UK. For now, these will be available for delivery or collection across London – which explains why we’re calling them, 'London’s First'! "Each cookie is baked and decorated by hand at Ms. Cupcake's Brixton-base. To ensure ultimate freshness, every order is made to order and baked just hours before the cookie is collected. "The cookies turn out soft and chewy in the middle, with a light crisp on the edge. 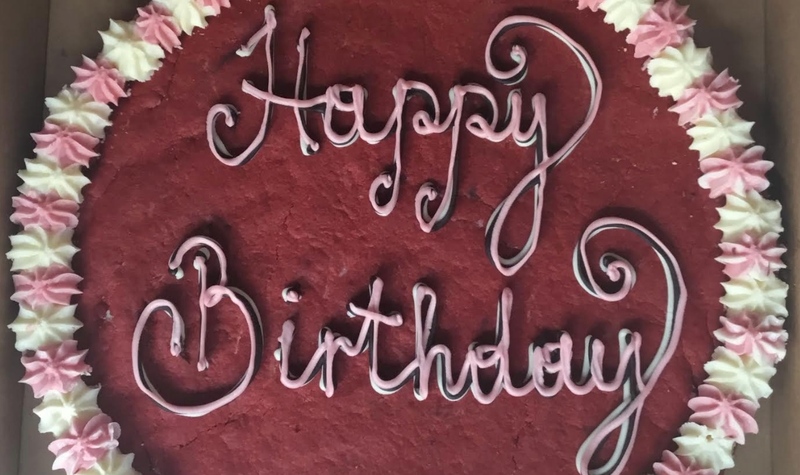 We use our signature 'butter' cream icing to pipe florets around the border of the cookie, as well as any message chosen to go on it." The cookies will cost £20.00 at launch as part of an introductory 20 percent discount sale price.